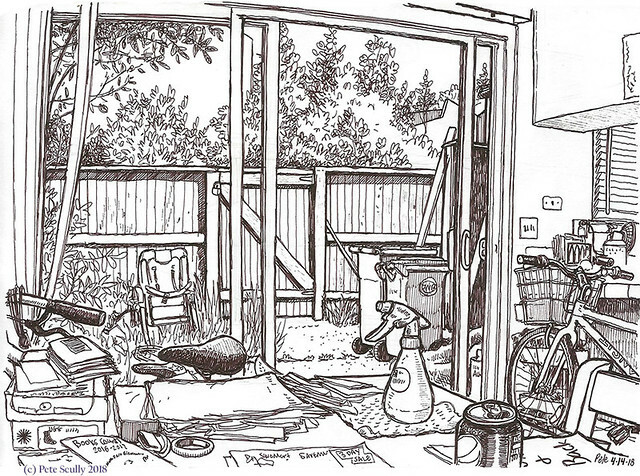 Here are a couple of sketches (two months apart) from our dinner table, one looking out to the yard, the other to the kitchen. Fun penwork. The one above was done in the afternoon with a Pepsi Max (or rather, ‘Pepsi Zero Sugar’ as it’s called now over here), while the one below was done in the evening and a glass of Portuguese wine. I am going to Portugal this summer for the Urban Sketching Symposium so wanted to get an early taste. It’s Vinho Verde; I’ve never actually had Port wine, not sure what I would make of it. They tell me it’s a dessert wine, good with cake. When I was last in Lisbon the only thing I saw locals drink was Super Bock and Sagres beer. I’m also reading ‘Futebol: the Brazilian Way of Life’, a gift from the Brazilian family whose son was on our U10 soccer team this year. We were the Davis Spurs (naturally). I’m enjoying the World Cup, by the way. I ended up getting the Argentina away shirt, but I was given a Brazil away shirt along with this book so I’m wearing both of those this year (as well as wearing my 2010 England away, my 2014 France shirt and my 2016 Belgium top; I just like good football shirts). I might get a new dinner table. The chairs are getting a bit wobbly, despite frequent retuning with the allen key. That vinho verde was very nice. I’m enjoying the book. I think it is great that you are recording your own domestic environment as well as your town and your region. Except for when making treasure hunt maps for my kids, I have never thought to draw my own house interiors. Port is fantastic with cheese. When I was the secretary of an art club back in Scotland, we used to entice people to attend our AGM by offering a cheese platter and glasses of Port. Worked like a charm. 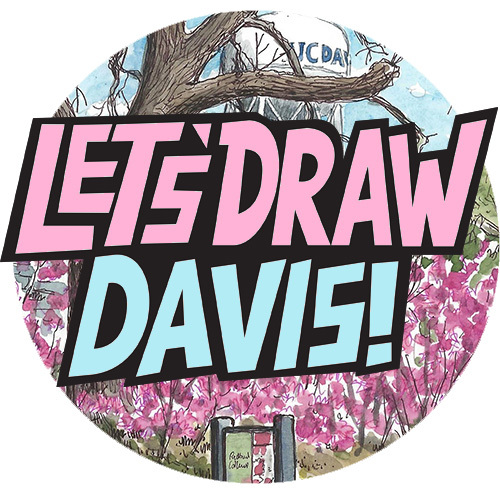 I get bored for looking for things in Davis and kinda hate going outside sometimes, so drawing the house is a thing to do. 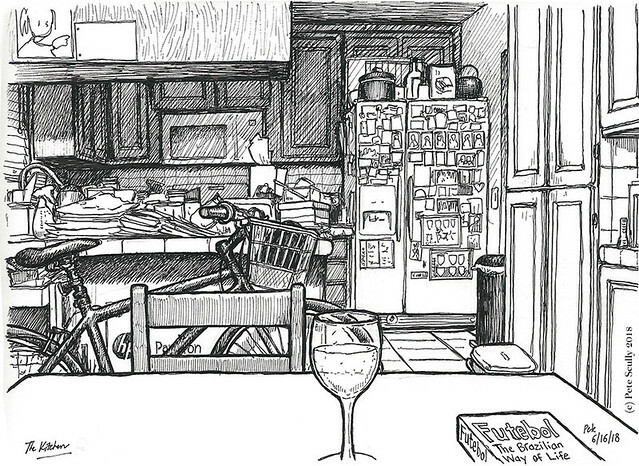 When my son was first born, I was drawing like crazy but didn’t go out as much so I drew the entire apartment. It’s a nice record, as we’ve moved a couple of times since then. Port and cheese, I should try that. I feel like it’s the sort of thing Lord Grantham would do though, I need to have it served by Mrs Hughes or Barrow. I do love good cheese though, I think I’ll give it a go. Any type of Port you recommend? I’m a bit clueless.